Vada's Blog Stamp Inks and Paper : Peaches And Cream Times Three. For my stamping partner in crime I made this cute little card. Graphic is un-known but they are three little girls form Quaker Oat Meal Scrap. 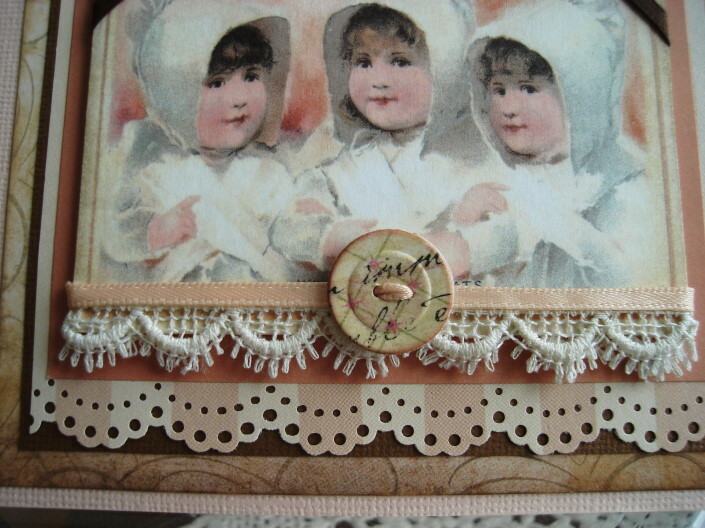 I used small scraps of printed papers along with stamps from Hero Arts and trimmed with Brown ribbon and Cream colored lace. This is such a delight. 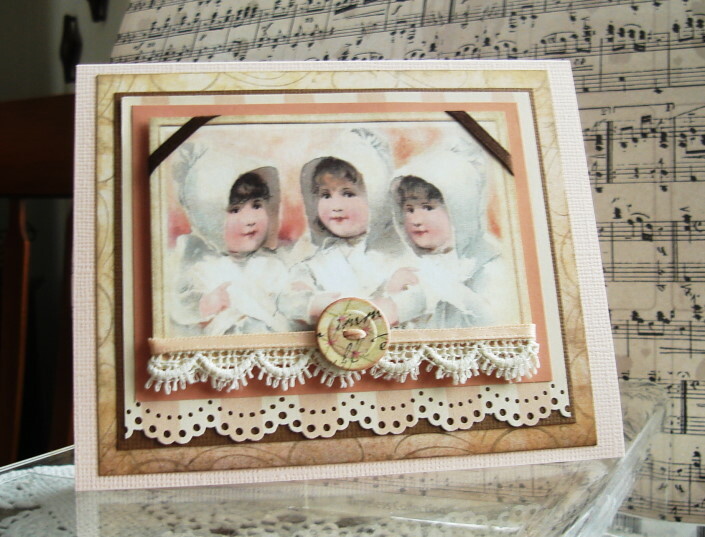 The image is adorable but it is the card that is so special. 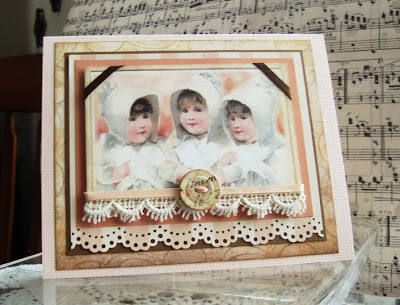 Amazingly elegant and sweet is what I see in this card! Beautiful image and your special touches are always perfection! Have a great weekend! Hugs! Just as precious as can be. Love how you stamped the button too. its all in the details! That is so sweet! Love the lacy border and the button too.